Apparently, our bad habit of spending tons of productive time in social networks is not so bad after all. For merchants at least. In a search for consumers’ attention and money, they have densely populated social media channels and now constantly peeking out in news feed here and there. But do people really care about promotions on social networks when there is still so much cat gifs to see? According to Invesp, social commerce sales are forecasted to represent 5% of online retail revenue in 2015 -- or $14 billion. The figure has increased by five times since 2012. So, what’s the answer you think should be? What’s the most profitable social network? How negative & positive reviews affect sales? What industry gets the biggest percent of social orders from Facebook? What social e-Commerce features are used by leading e-Commerce sites? What social network is responsible for 85% orders from social media? How many percent of traffic top US e-retailers get from social networks? So, how much you think have been losing out on revenue from social commerce all this time? Perhaps, you now have a fairly good reason to reanimate your social network accounts. Good luck! 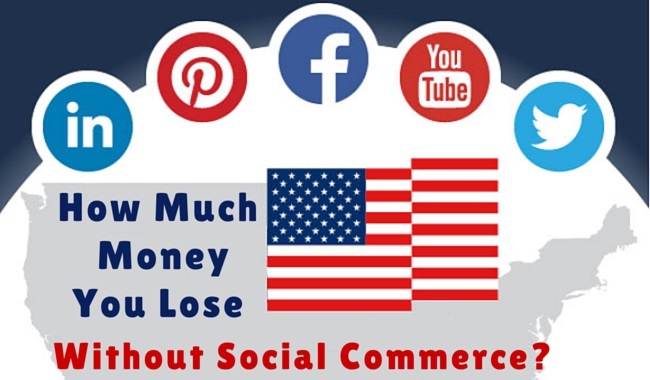 One thought on "How Much Money You Lose Without Social Commerce? [Infographic]"